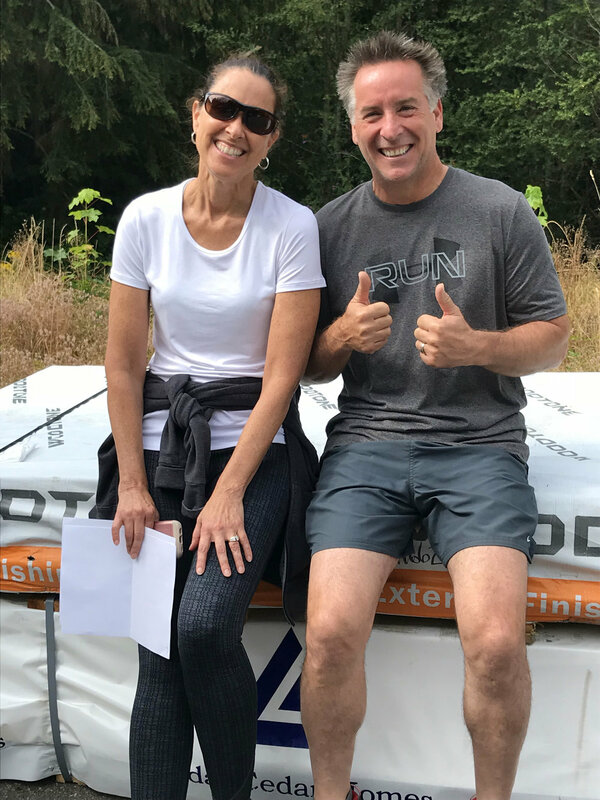 When meeting with prospective clients for the first time, one frequently asked question is: “What are the benefits of the Lindal building system?” to which I begin my response with “efficiency, flexibility and predictability" and explain how that is so. Lindal’s incomparable seventy-five years of success has been built on our client’s desire for a better home — more beautiful, more interesting, more comfortable, more connected to its natural environment. What does “a better reality” look like? Images of a client’s newly framed Lindal illustrate a few of the many features of our post and beam building system that enable better architectural execution of our clients’ visions. Showing them ‘in the raw” — with no finish or decoration confirms that Lindal's "better " is more than skin deep. The consistent use of standard wall heights (there are several), makes it easy to connect the fascia (the brown board on the roof’s edge) in one continuous band that connects and unifies the garage, covered breezeway and house. The view side of the house faces north (no direct sunlight. By lifting the roof with a clerestory, we admit southern sunlight directly into the center of the house. 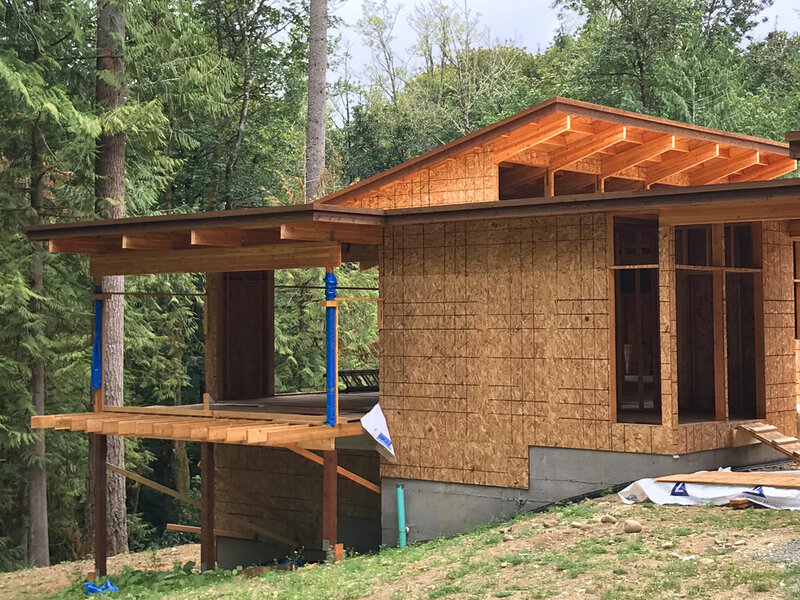 The post and beam system can support deep floor and roof overhangs, here support the dining room and covered deck that “float” up in trees (note the sunlit great room behind). The beautiful and strong Lindal laminated Douglas fir beams make “easy lifting” of wide openings, here a series of 16’ openings… into the dining room, out onto the covered deck beyond, and at the outside corners of the deck. No additional support required! Lifting the roof for the clerestory creates a sloped roof over great room. The laminated beans which will remain exposed in the finished house, draw the eye through the window wall to support the 2’ deep overhangs and draw the eye down to the view. The 27’ wide clerestory admits sunlight into the center of the house. The openings will be filed with operable awning widows that will allow the hot air to naturally escape, drawing cooler air in through low awning windows near the floor on the opposite window wall. The roof beams are supported at the front, center, and rear of the house by laminated posts. The standard 5’4” spacing between the posts is all the support required. A 9’ 5” high by 22’ wide expansive glass view wall will be interrupted by only three 3 1/2” posts! Note how the laminated beams draw your eye through the window wall to the view beyond.